To reduce the regional gaps and to celebrate the essence of North East India, NORTH EAST FESTIVAL will be organized from 7th to 10th November, 2014 at IGNCA Ground, Janpath, New Delhi. 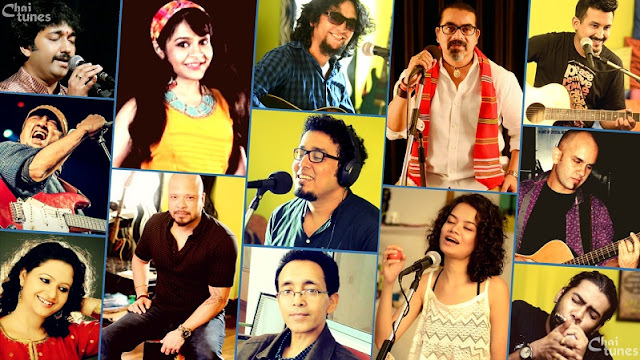 Considered as the biggest ever festival on North East Region in the National capital, The event is aimed to highlight the positive aspects of the region which is so full of talents, resources and success stories. The “North East Festival” has become a brand which is synonymous with the unification of the various stakeholders of North East under one dynamic platform. 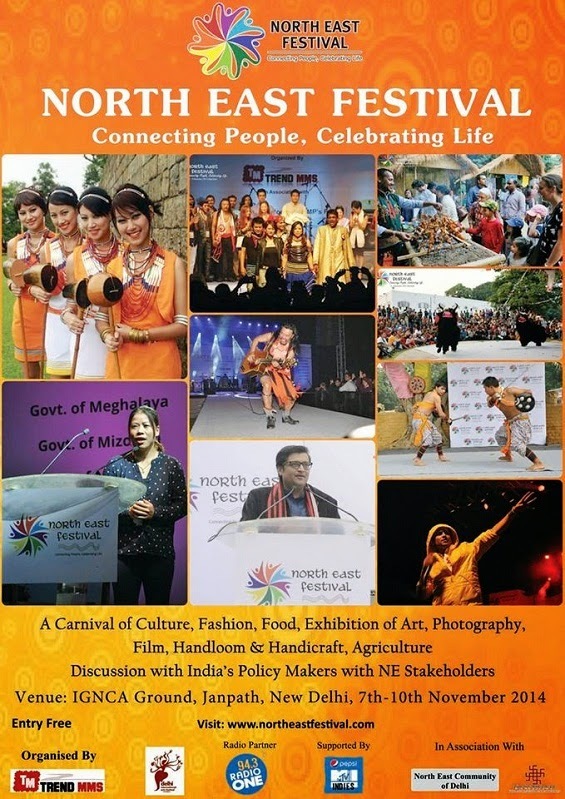 The importance of North East Festival has gone manifold after the recent racial disturbances especially in Delhi. This time the theme of North East Festival is “Insurgence to Resurgence”. Boxer from Manipur MC Mary Kom and Assamese singer Zubeen Garg are the Brand Ambassadors of North East Festival. For more information visit www.northeastfestival.com or follow North East Festival on Facebook. State kiosks wherein each states of North East India will highlight its indigenous agricultural produce, fabric, handloom & handicrafts, resources. Buyer-seller meets for Tourism, Handloom & Handicraft, Agriculture, etc. Handicrafts display/ exhibition from each North-eastern State. Ethnic food festival – showcasing the best delectable cuisines from the entire region. Photography exhibition showcasing the vibrant culture, tribes and important landmarks of the region. Round-table discussions on IT opportunities, Skill Development, Student security issues, Agriculture, sports etc with expected participation from all major stakeholders of the region and the policymakers of the country to create a healthy discussion and analysis forum. Media interaction with different NE organizations in the National Capital. Session on Tourism prospects in North-East between leading Tour Operators of the North East and India which will benefit tourist influx and film shootings in the region. 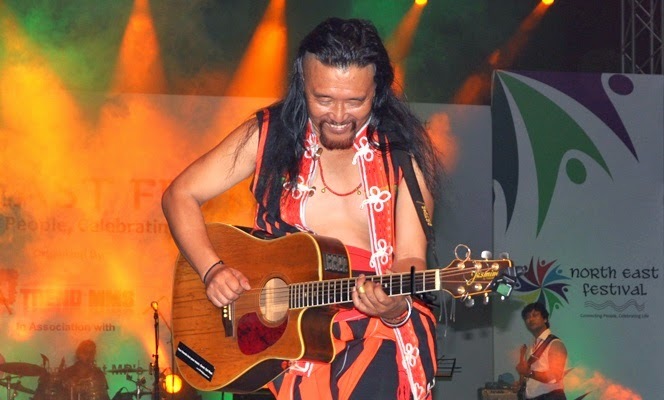 Cultural programs – musical performances by popular musicians from the North-East Region including Minute of Decay, Frisky Prints, Tetseo Sisters, The Girish and the Chornicles, Soulmate, Zubeen Garg, Local Train, Mayukh Hazarika and Brahmaputra Boys. State Tourism Information booths for prospective tourists to the region. Fashion show displaying the rich ethnic fabric collections by top North East designers.